EA officially announce the Premium Pass link, the Battlefield 1 Premium Pass is priced at £39.99/$49.99 (USD)/$64.99 (CAD) and you also get two-week early access to new multiplayer maps, includes access to four themed expansion packs. The first of these packs, They Shall Not Pass, releases in March 2017 and sees you joining the fight with the French army. 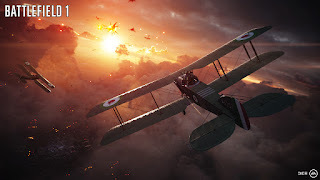 In all, the Premium Pass will give you 16 new multiplayer maps, 20 new weapons, 14 unique dog tags, and 14 Battlefield 1 Battlepacks featuring weapon skins. Each Battlepack will be delivered monthly, beginning in November 2016. New frontline battles – Scout ahead with a two-week head start on four themed expansion packs. And France joins the fight in all new multiplayer maps. An upcoming expansion will bring the Russian Empire into the battle. All the Premium extras – Get ready for new Operations and game modes, new Elite classes, weapons, vehicles and more. 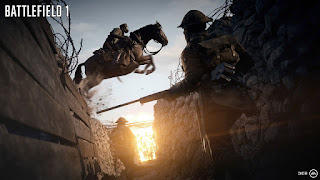 The Battlefield 1 Premium Pass includes 16 new multiplayer maps, 20 new weapons, 14 unique dog tags and 14 Battlefield 1 Battlepacks containing stand-out weapon skins. Each Battlepack is delivered monthly, starting November 2016. Battlefield 1 releases on October 21 for PlayStation 4, Xbox One, and PC.